Ceramic tile flooring is not very popular in the United States. As little as 12.5% use them in their homes or businesses. This is unfortunate because ceramic tiles are not only pretty, they are very low maintenance. It’s also resistant to water, stains, dirt and chemicals. 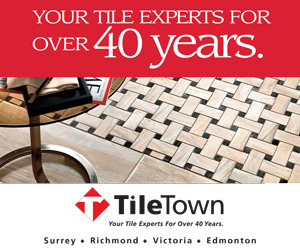 If you don’t have time to clean or simply too lazy to do it, why not install ceramic tiles as your flooring of choice? Water is the best product to use on your ceramic floor. A regular swipe of water with cleaning products is all that is needed to keep them clean. If you would rather use store-bought chemicals, read the label and make sure that it is recommended for ceramic tiles. Always clean spills as soon as they happen. 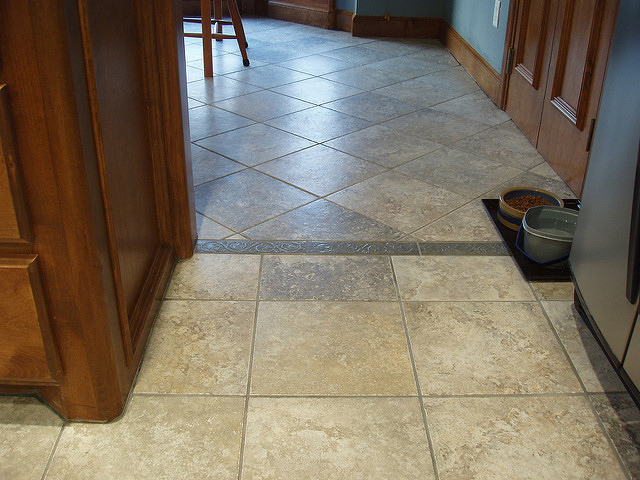 Minimize dirt tracks by placing a doormat in the entrance of rooms with ceramic tile flooring. Train members of the family to use them before entering. Sweep the floors regularly to remove dirt and grit. These can scratch the surface of your lovely tiles. Regularly mop the floor soaked in a hot water and cleaning product. Make sure that it is specific for your floor type. In case of doubt, spot test first before using. Make sure its non-abrasive. Do not use sponge mop, it will just push the dirt in the grout. Instead, use a chamois mop or a rag. Always use clean water when cleaning. Refill the bucket when it becomes dirty. In case your ceramic floor is stained, wash first with hot water and cleaning product. Then apply hydrogen peroxide (for juice, coffee or tea stains) or club soda and water (for grease stains). For ink stains, leave a cloth soaked in diluted bleach on it until it disappears. Another way to keep your tiles looking lovely is to keep grouts clean. Dingy looking grouts detract from the beauty of your floor. Seal the grout after it has been installed to form a protective barrier against dirt and grime. Most experts recommend doing so every six months. Read the instructions before grouting and keep a regular sealing schedule. A dirty grout can be cleaned by brushing them using a toothbrush soaked in water and hydrogen peroxide. There are those who recommend applying a paste of 3 parts baking soda to 1 part water on the grout. Then, spray vinegar diluted in equal parts of water over it. Let it stand and allow the bubbling action to finish. Brush the grout then mop with plain water. Cleaning and maintaining ceramic floors entail some amount of elbow grease. You can reduce cleaning time by adhering to a regular schedule. Cleaning grouts can be labor intensive, so keep dirt from piling up. Follow the tips above and you will enjoy clean and shiny ceramic tiles for years to come.